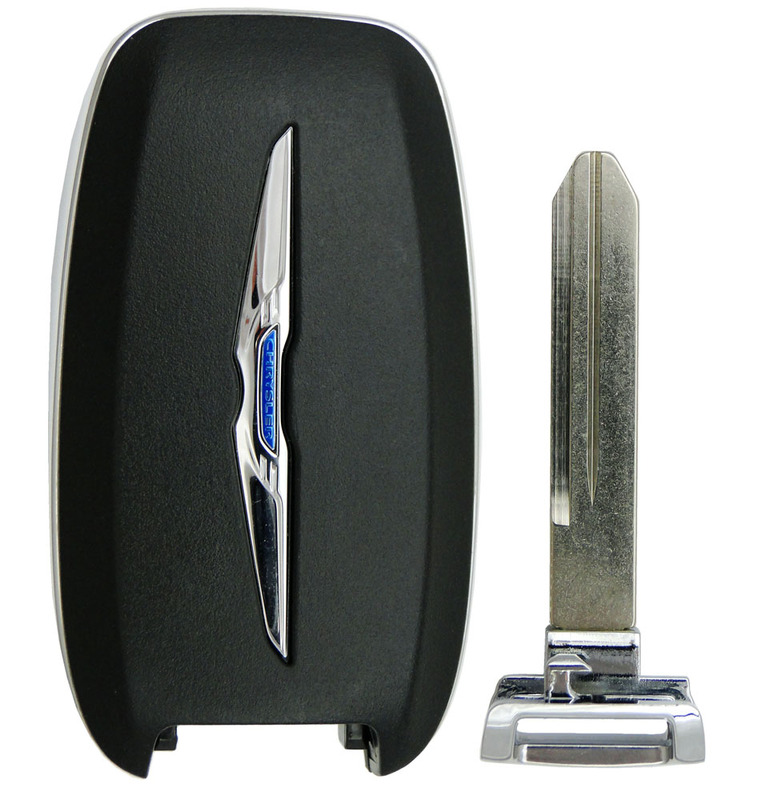 2017 Chrysler Pacifica Smart Proxy Keyless Entry Remote Key - refurbished with remote start, power doors and lift gate. Free emergency insert key is included. The price does not include key cutting, transponder chip or transmitter programming. 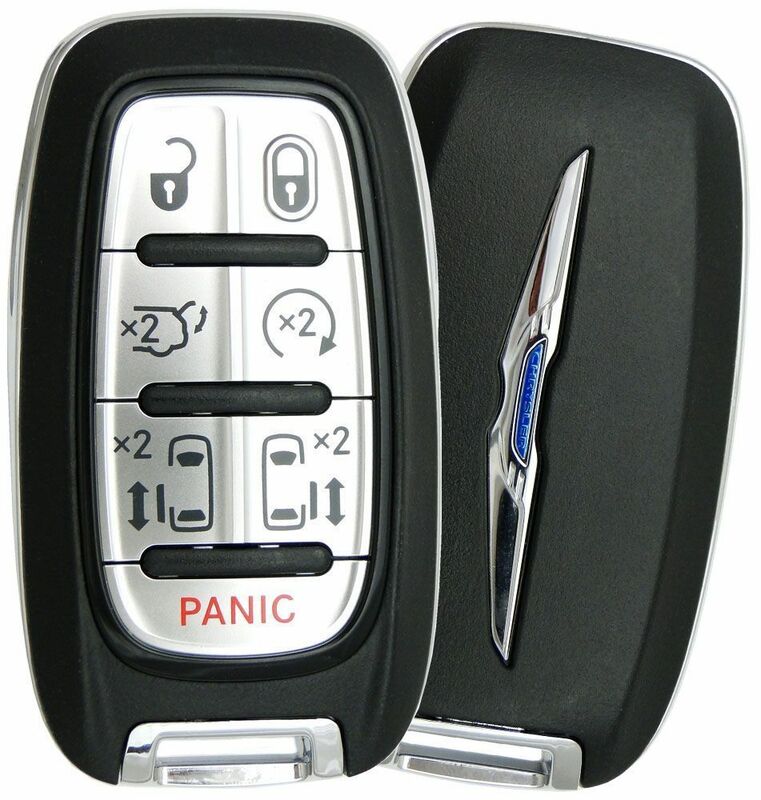 This 2017 Chrysler Pacifica key fob has to be programmed by your local dealer or a pro automotive locksmith. Price above is quoted for one replacement keyless entry transmitter. All 2017 Chrysler Pacifica models were manufactured with a standard keyless entry system.